What is the ProRep Terrascaping sealing Resin used for? The ProRep Terrascaping Sealing Resin can be used to seal backgrounds, glass and wood. It can be left as it is or sand, bark or other textured finishes can be pressed into it while still wet. This water based resin is used straight from the tin, however you can add the ProRep Terrascaping Resin Colour to apply colour and shade. It is not solvent based and so it does not have the offensive smell associated with silicone. 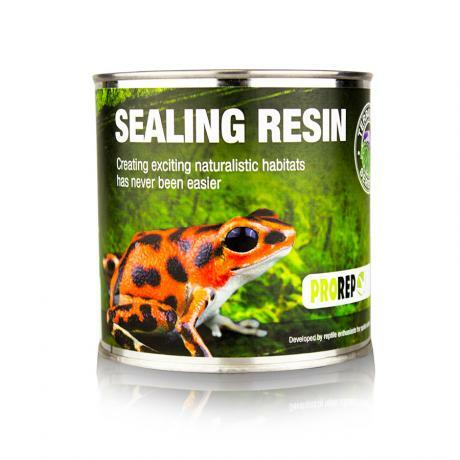 Once cured the resin is inert and is safe to use in all environments, including fully aquatic set ups.